Have you ever sat in a movie theater with a bag of popcorn on your lap, and when you looked down, somehow the popcorn had disappeared? Or have you set a book down somewhere, and then had no idea where you put it? Now, meet Marvin. He's is a gorilla living in a great big city. He doesn't approach life with a thump, thump, ROAR. Instead, Marvin mindfully experiences the world around him through all of his senses. He's calm. He's peaceful. He's mindful. Includes a Reader's Note loaded with information about mindfulness and living mindfully. 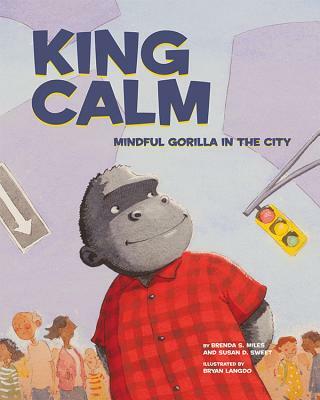 Also included are simple ways to increase awareness to become calmer, more focused, and more peaceful by engaging your senses just like Marvin and seeing, feeling, smelling, and listening to the great big world around you.